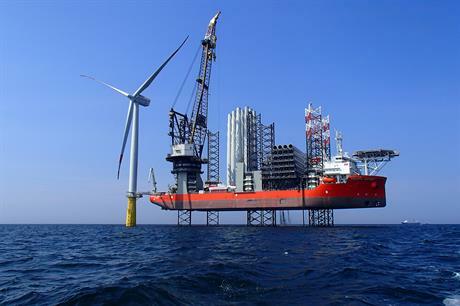 UK: Recent updates from four UK offshore projects, from Dounreay Tri off the coast of Scotland to Stakraft, Statoil and Masdar's Dudgeon site, under construction in the North Sea. Cabling supplier: Dong Energy has contracted NKT Cables to supply a 170 kilometers, 220 kV AC export cable system to Hornsea Project One. The contract is worth around €139 million. The cables will be manufactured in 2017 in Cologne and delivered for installation in early 2018. Share issue: Swedish firm Hexicon AB has raised SEK25 million (€2.7 million) through a new share issue that will aid the development of the 8-12MW Dounreay Trì project. Vessel charter: Rix Sea Shuttle has been awarded a £2 million (€2.5 million) contract by Statoil, to supply crew transfer vessels to Dudgeon. Base port: Siemens has selected Peel Ports Great Yarmouth as its turbine assembly base for the 336MW Galloper project in the UK North Sea. The German manufacturer will start its operations at the site in early next year. As well as nacelles, blades, towers and electrical modules arriving via the port, the Great Yarmouth facility will be used for tower pre-assembly and for nacelle preparation before going offshore on Swire Blue Ocean's Pacific Osprey installation jack-up vessel.